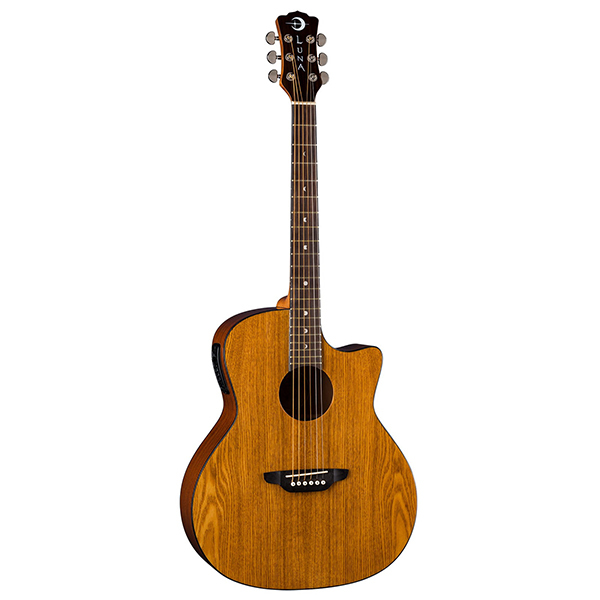 This full parlor guitar is part of our all mahogany Gypsy series which offers warm and inviting tone in three distinct profiles. A surprisingly affordable price is paired with elegant features such as walnut stringers at the back, Luna's signature moon phase fret markers, and a subtle celtic-inspired rosette. 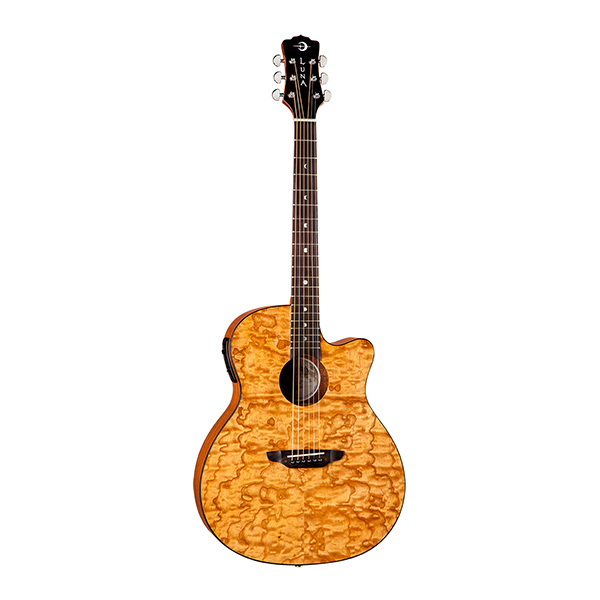 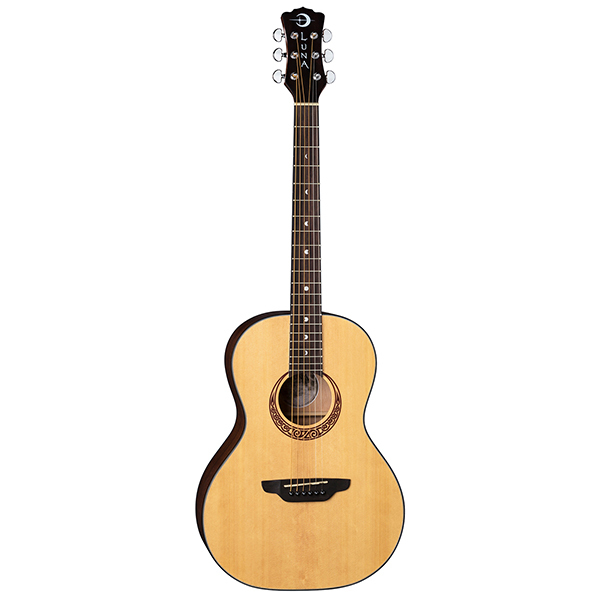 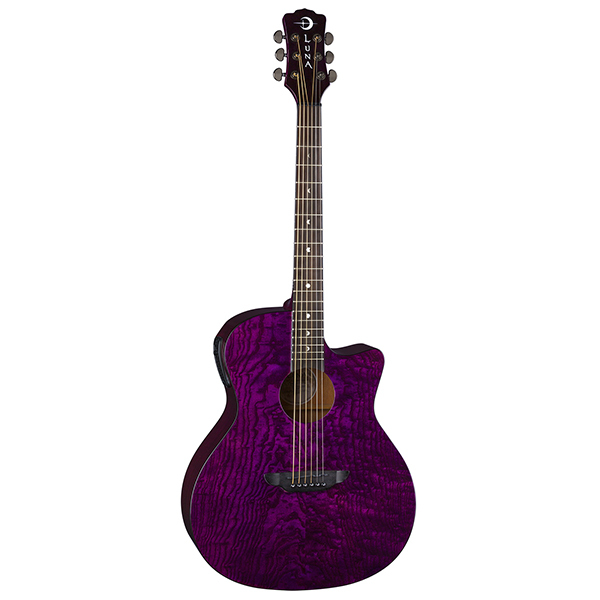 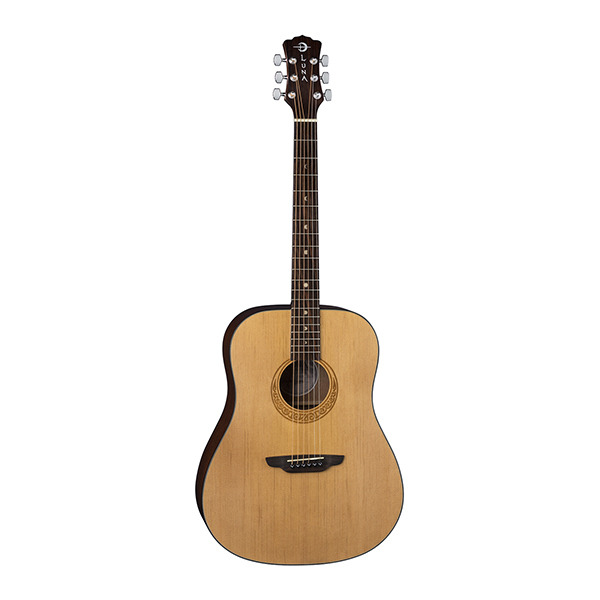 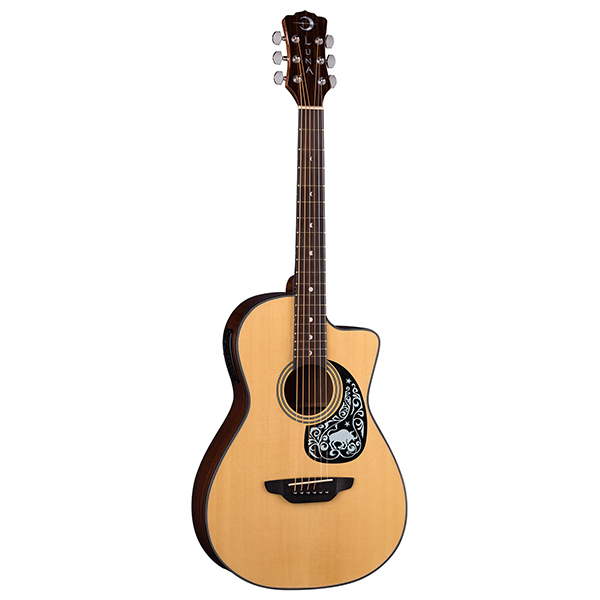 This acoustic is ideal for finger-style players who desire a powerful punch with an inviting midrange.